The flower of southern countries hibiscus is known for its large, colorful petals and unique stamen. Even in an illustration, hibiscuses have the power to transport us to a tropical island where the midsummer is beautiful and fragrant. The blue sea, the white sand, the bright and glittering sunlight, and her goddess-like figure… Hibiscuses perfectly complement these wonderful elements♡ Combined, they make for a breathtaking sight! 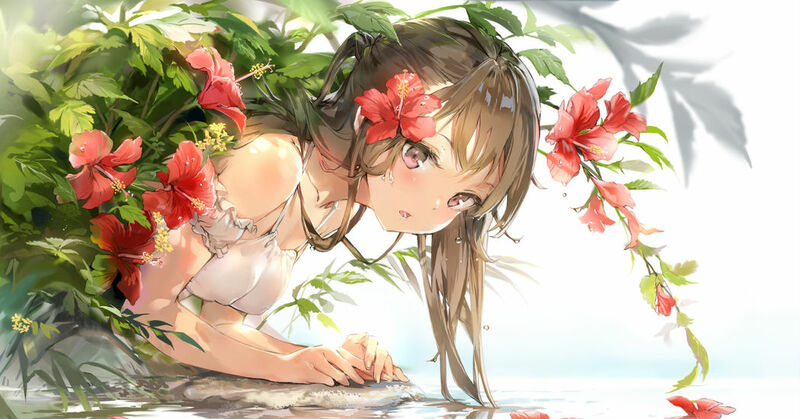 This time we’re featuring illustrations of hibiscuses and girls. Enjoy!